An outage, is widely known in the Philippines as ‘brownout’. It is caused by several factors such as maintenance activities, emergency conditions and upgrade of equipment and facilities. The cause of an outage depends on whether it is a: (1) Planned Outage and (2) Unplanned Outage. A Planned Outage happens to allow Meralco to conduct maintenance activities, upgrade line and/or substation equipment and facilities, relocate facilities as necessitated by government projects (e.g., road widening), or construct and extend facilities to serve additional customers. If you’re going to be affected by this type of outage, Meralco will advise you at least 72 hours before the actual time of service interruption. An Unplanned Outage, is usually a result of emergency conditions that lead to electric service shut off. It may be caused by factors that are beyond Meralco’s control, such as generation deficiency, adverse weather conditions and foreign objects hitting or coming into contact with power lines and equipment. Failure of line hardware, components and devices directly connected to power lines also cause this type of power outage. If you are affected by this type of outage, you can view and monitor the status via the outage map. If there is no available outage information in the map, you may file a report through the outage reporting form. What is an outage map and what is the benefit of using it? An outage map is a map that shows both current and future outages in Meralco’s franchise area. The map was created so that Meralco customers can view outages that may affect their service or address. Customers can additionally see the status of the outage and the *estimated time of restoration in the information box provided in the map. If the outage you are experiencing is already reflected in the outage map, it means that Meralco is already aware of the outage and is working to resolve it. If the outage you are experiencing is not yet reflected in the map, you can file a report through the outage reporting form. How do I use the outage map? Log in to Meralco Online. Tap the menu icon found on the upper left-hand corner of the Overview page. You can report an outage by filling out and submitting an online form, which is available on Meralco Online or Meralco Mobile App. Simply log in to your account and go to the Outages & Incidents section. Alternatively, you can visit our website at www.meralco.com.ph and access the online report form as a guest. For a step-by-step guide, please refer to the instructions below. Check if the outage you would like to report is reflected in the map. If not, you have the option to report it. Click on “Report an Outage” located inside the information box. The information box is displayed by default. Optional: Upload up to 5 photos of your concern. Each file must be in PDF, PNG, JPG or BMP format and must not exceed 5MB. Enter the details of the contact person for your report. Fields are pre-populated with your registered details, but these can be edited. Specify how you want to receive notifications related to your report by selecting either the “Email” and/or “SMS” button. You will be directed to a confirmation page, acknowledging receipt of your report. You will also receive an acknowledgment via SMS and/or email, depending on your preferred channel. Click on “Report an Outage” located inside the information box. Enter the details of the contact person for your report. Specify how you want to receive notifications related to your report by selecting either the “Email” and/or “SMS” radio button. How do I track the status of my report? You can track the status of your report by logging in to Meralco Online or Meralco Mobile App and going to the Outages & Incidents section. For a step-by-step guide, please refer to the instructions below. Tap the arrow next to a report for a more detailed view. Click on “Track Your Outage Report” located inside the information box. The information box is displayed by default. How does Meralco restore power? We have a structured approach in restoring power. Depending on their extent or severity, outages are monitored and managed either by our System Control team or Sector Operations team. As soon as outages are detected, we dispatch crews to investigate the cause. Crews arriving on-site will assess the damage and necessary repair, then have the power restored. How accurate is the Estimated Time of Restoration (ETR) that Meralco provides? Based on historical data, we measured the approximate time it takes to restore the power of customers affected by an outage. 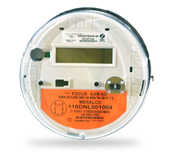 The approximate time is dependent on the extent and severity of the outage. This historical data was used to provide the ETR for a known outage. It is important to note though that estimates may change from time to time during the restoration process, depending on the number of work orders assigned to crews or the severity of the outage, based on the crew’s assessment of the damage. Nevertheless, we exert all effort to ensure that power is restored on or before the given ETR. How fast will my electricity be restored upon submitting my report? The Estimated Time of Restoration (ETR) is provided through SMS and/or email to customers affected by an outage, depending on the severity and extent of outage. Estimates may change from time to time during the restoration process depending on the number of work orders assigned to crews or the severity of the outage, based on the crew’s assessment of the damage. Nevertheless, we exert all effort to ensure that power is restored on or before the given ETR. How can I receive outage advisories? Once you register on Meralco Online, you will receive outage advisories on power interruptions affecting your enrolled service/s. These will be sent via SMS by default, but you can log in to your account to easily change or select your notification preferences. Click on the arrow next to your name on the upper right-hand corner. Click on the “Notification Settings” tab. Tick the “Email” and/or “SMS” box for Outage Advisories. Scroll down to "Preferred Communication Channels". Tap the plus sign (+) beside “Outage Advisories”. Tap the toggle buttons for Email, SMS and Push Notification to enable or disable Outage Advisories. Tap the "Save Preferences" button. Streetlight Concerns – you can report this type of incident when you observe that the streetlight has no power, the light is flickering, the bulb or fixture is broken or the light is always on (even during day time). Note though, that Meralco is only allowed to fix certain types of streetlights. Read the streetlight concern section to know more about this. Safety Concerns – you can report this type of incident when you observe that problems on Meralco facilities such as the pole, wire, transformer, etc. Read the safety concern section to know more about this. How do I report streetlight concern or safety concern? You can report an incident by filling out and submitting an online form, which is available on Meralco Online or Meralco Mobile App. Simply log in to your account and go to the Outages & Incidents section. Alternatively, you can visit our website at www.meralco.com.ph and access the online report form as a guest. For a step-by-step guide, please refer to the instructions below. Which types of streetlights are covered by Meralco? Streetlights that are covered by Meralco are commonly installed on Meralco poles. These are owned, operated, and maintained by Meralco. Other streetlights are owned, operated, and maintained by the barangay, city, municipality, government, homeowners’ association, or estate developer/manager. Thus, these streetlights are not covered by Meralco, and the repair and maintenance of these streetlights is the responsibility of these groups. Why are not all streetlights covered by Meralco? Since Meralco does not own, operate and maintain metered streetlights, the repair and maintenance for these is the responsibility of either the barangay, city, municipality, government, homeowners’ association (HOA), or estate developer/manager who owns them. How will I know if the streetlight I would like to report is covered by Meralco? Streetlights that are attached to Meralco poles are generally covered by Meralco. You can differentiate a Meralco pole through its prominent Meralco sticker and the pole tag attached to it. If there is such a dedicated pole that does not have these stickers, it is probably owned by your barangay or city/municipal government. What are the types of safety concerns?